One of my "things" I try to do when I travel is to check out any major university campus or see a pro sports team when on the road. I have been fortunate to see about 1/3 of the MLB stadiums out there. Without a doubt, PNC Park was the best ballpark I have seen a game in to date. I use to go to Three Rivers back in the early 80's and it is by far the greatest improvement ever built from one stadium to the next. Thing only seats 38K roughly and the views to the outfield are incredible. I have been to AT&T in San Fan for an Expos game many years ago and it is legit as well but PNC has the edge IMO. Worst stadium.......Tropicana Field......I still cant believe they have not replaced that dump. They had a really incredible design for a new stadium years ago(image below) that takes advantage of their beautiful location but the city said no. 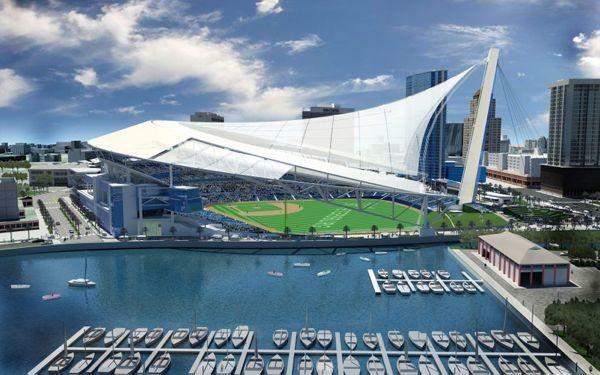 I would guess Tampa will lose that team within the next 5 years if they cant get a new ballpark officially approved.